Excess Toys – New type of Child abuse? Our material possessions could turn into a serious burden! A little illustration how it could potentially well all start. Would you see this as a new type of child abuse? 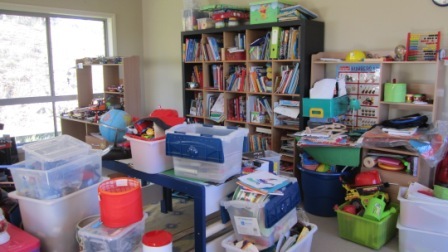 How can children find joy playing in this kind of room? An excess of toys is overwhelming and could well lead to stress, anxiety and lack of confidence from a very early age onwards. Many toys illustrated here are well above little children’s height. To give you an idea on what children perceive, bend your knees and look at what they can actually see from their height. 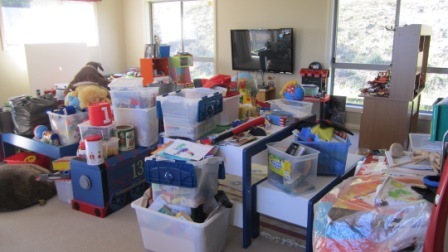 Imagine little 3 and 5 year old entering this room, all those toys are higher than them! How can they find their way in this labyrinth of clutter? Too much choice! Are they spoiled? I don’t think so… What are your views? Children rather enjoy an “experience” = “quality time” such as… a joy ride on a merry-go-round, a special time at the movies, doing some sport together, etc. Your time with them is very precious. A clear and harmonious decor will encourage a clear mind – especially around children’s bedroom and playroom a well sorted environment is essential for good studies and their future life focus. Please help them by being a good example yourself. 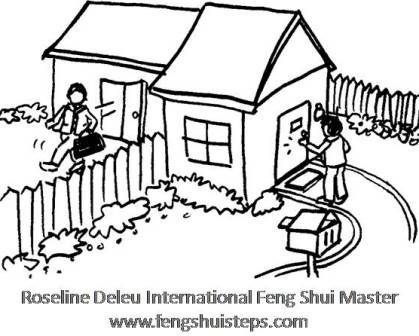 Feng Shui starts with de-cluttering and common sense! Thank you. 1. Please Bill, tell our readers briefly WHEN, HOW, WHERE or in WHICH circumstances we met? 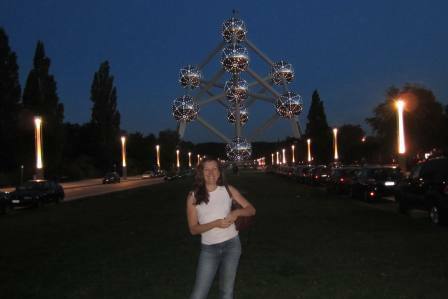 We met Roseline many years ago when she was looking to redesign her website when Roseline approached us to become her webmasters. We met her through word of mouth recommendations from other clients and also as a result of our web development website and have, over the years, become firm friends with this remarkable powerhouse woman. One of the “fringe benefits” of being friends with Roseline, as well as her webmasters is that we have absorbed so much wonderful advice and wisdom from her. 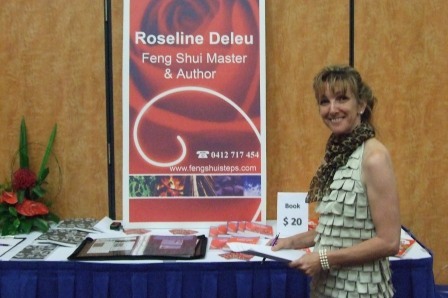 We have applied various Feng Shui principles Roseline has offered us over the years and completed courses she has run. 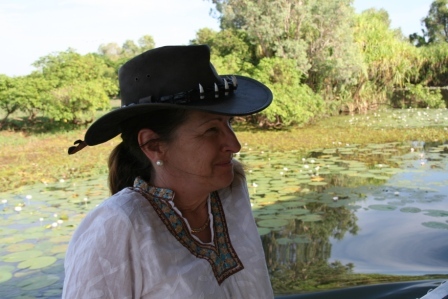 We have noticed improvements to our way of life end to our business emerging out of these ideas which Roseline has helped us in identifying and so we feel that one of the most interesting Feng Shui results is of a better life experience and more balance between work and recreation. We have a lifelong experience with and expertise in computers and because of this, we were early to begin designing websites for clients around the country. We have a strong ethic of listening to our clients and providing the services they desire and need in an honest and timely fashion. 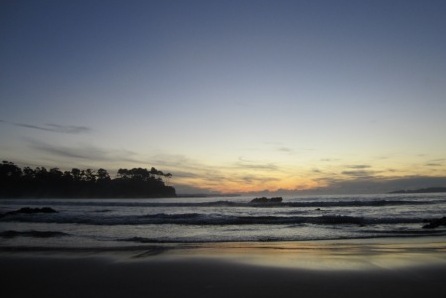 Besides attention to the businesses, we love living on the south coast of NSW where we can take advantage of the natural beauty of the environment and indulge in hobbies such as photography, bushwalking and playing music. 4. What are the five words that people would use to describe Bill Elphick.com? Reliable – trustworthy – Efficient – Accurate – Honest. 5. What was the purpose on starting your BILL ELPHICK business and how has the concept come about? Our aims with providing the Elphick, for Web Design business have always been to provide quality results, using hand-coded precise coding for efficiency and good navigation at easily affordable prices. With our knowledge of computers and coding, we soon saw the need that many local businesses had for developing websites. We often find that we have customers approaching us who have had a bad web design experience elsewhere in the past and who want their old sites revised and brought up to date. Again, we feel that our clients deserve to be valued and assisted to make the right decisions for their online presence, in a way that is not arrogant, filled with jargon or makes wide assumptions about their level of web design knowledge. We seek to make the entire process as straight forward and easy as possible so that our customers can get the result they want and know that their website meets their requirements. At billelphick.com we normally receive enquiries via the web or telephone. After discussing client’s needs we are able to offer a quote. If a new website is required we would then create a design which is then approved or changed and we go from there. We always want our clients to be 100% happy with their websites so we work closely with them to achieve this. 9. What advice can you offer to people who are just discovering BILL ELPHICK? There is no substitute for communication. If any potential clients seeking any of our services cannot find an answer to all their question on our comprehensive websites, they are very welcome to email or telephone us with their questions or for advice. We are here to provide excellent service and we strive to do exactly that through friendly, personal service. We are only too happy to answer any questions. So our advice is, “please get in contact”. 10. Do you have a website that you would recommend? 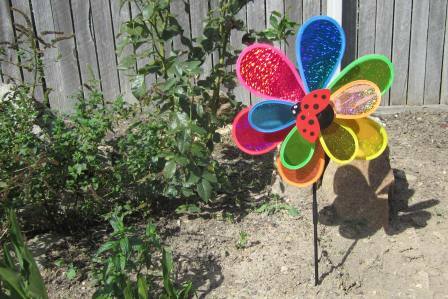 At this client’s home, we started to add movement in their garden right in front of their entry door… simply by adding this little colourful windmill. Then of course it was also time to de-clutter the rest of the yard and inside the home too 🙂 We did! The results were fast… while I was working with the husband Feng Shuying their home, his wife had an exceptional day of sales in her shop. Their investment was immediately rewarded. Have a look around your place where stagnation occurs and how you too can shift this by encouraging movement near your front entry. Electro magnetic fields (EMF) and Wi-Fi seem to be everywhere these days. For a good health, it is essential to keep AWAY from them while we sleep, this is to allow our bodies to recover. 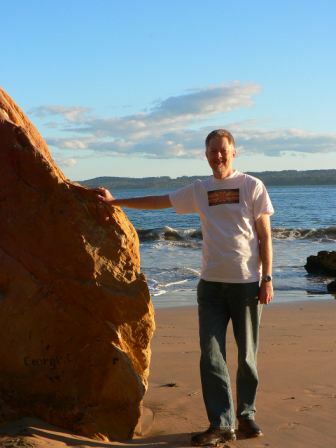 Another good point to compensate is to regularly connect with nature – being gardening or walking in National Parks. I have chosen an illustration that would replace a thousand words. 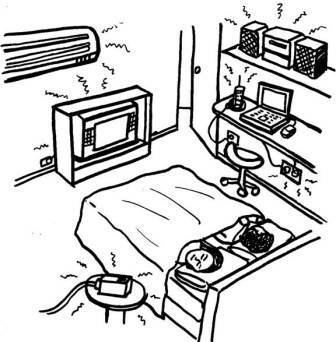 In this bedroom you can see all potential dangers. Move them as far as possible away from your bed. Keep in mind that some other EMF dangers could well be on the other side of the wall… for example the fridge, television set, meter box/power box, etc! I still recall when I was a child… at my grandmother’s in the country, we all always came in through the back door, a store room where we had to step over and around all sort of boxes and dirty wash-in-the-waiting before finally accessing her kitchen door. Her front door was permanently locked and the only odd door knockers would occasionally ring the door bell. I must admit that the energy in her place was very stagnant and clutter was everywhere. -> You are missing out on opportunities! On the other hand, entering the front door is so much more welcoming! Let’s compare your home with your body… Your entry is your smile. Today have another look at your entry, wash your windows, remove unnecessary items and furniture blocking the light coming through windows and clean up A/C filters and chimneys. I was approached several times by developers to design them “a perfect standard Feng Shui home”. Does this really exist? Wouldn’t it be sad if hairdressers would only have one hair cut to fit every face! So, like same haircuts won’t fit everyone, same houses won’t fit on every block nor fit everyone’s characteristics! Your home is You and it is an important investment in your future. It is worth to invest in your Feng Shui Consultation with me to enjoy home design, home living and home renovations in harmony with You.